On the surface of it, Binfield may appear an unassuming sleepy Berkshire village on the outskirts of Wokingham so why has it become such a honeypot for homebuyers? One award-winning developer which has realised the vast potential and growing buyer demand for homes in this charming village is Millgate who are shortly to open the doors to their latest show home at Meadows Reach in Binfield. Back in October 2012 Wokingham was hailed as the most desirable place in England and Wales to bring up a family according to a national study by Family Investments, which examined factors such as quality of schools, childcare provision, cost of living, crime levels and property affordability. The study also considered the availability of parks and green spaces, leisure centres, museums and theatres. Opening the doors to the show home on Saturday 18th October, Millgate are looking forward to welcoming a diverse range of people across the threshold. 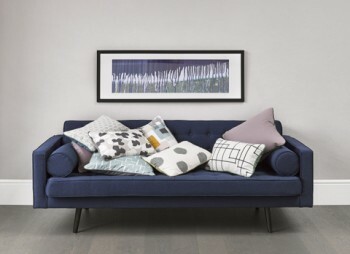 The homes are so well designed that they will perfectly suit downsizers, upsizers, side steppers or first time buyers alike – depending on their particular situation. And with prices starting at just £450,000 it is easy to see why these high quality homes are sure to sell fast. A choice of house sizes is available at Meadows Reach with an innovative development of eighteen 3 & 4 bedroom homes. The development has been beautifully thought out with 2 acres of recreational land for owners to share and enjoy. “We are currently in the most extraordinary position of having sold all of our stock, a first since I joined Millgate in 2007. It goes to prove the confidence buyers have in the South East of England and our homes. For more details on this exciting new development in Binfield contact Millgate on 01189 343 344 or visitwww.millgatehomes.co.uk. What makes the perfect commuter village? No one is ever looking for a dull, lackluster out-of-town experience offering little to keep the family amused. Instead, crafty commuters are looking for locations with good transport connections, a wide variety of eateries, great outdoor spaces and first class recreation and leisure facilities. People looking for a place to settle in a new area, perhaps coming from London or overseas, are likely to consider the Home Counties as their base. However with eight Home Counties to choose from they may find it a daunting prospect to select the perfect place for them and their family. Luckily buyers who have decided to head south of the capital need look no further than the Surrey village of Ashtead, close to the market towns of Epsom and Leatherhead. Ashtead exhibits the epitome of perfect village life, boasting a plethora of clubs, societies and activities of which many other villages would be extremely jealous. The village is home to a vibrant cricket club where keen mothers have been known to put their child’s name down way before they are old enough to hold a bat – as competition is so high for places, an equally happening football and squash club and a selection of terrific pubs and eateries. Many Ashtead residents vie for a membership to the much loved RAC club, situated between Ashtead and Epsom. Facilities here for members include the use of two 18 hole golf courses, a modern, well-equipped gymanasium, weekly classes, squash and tennis, swimming pool and treatment rooms. The RAC is also renowned in the local area for fine dining in both the traditional restaurant and the more informal 19th whole or Fountain restaurant. Ashtead also boasts a much-needed array of superb schools in the area and a strong community spirit. For property buyers in search of a commuter town, Ashtead offers direct connections to London Waterloo and Victoria in just over 40 minutes in addition to daily trains direct to London Bridge making life easier for those travelling to the Square Mile. An annual season ticket will currently set commuters back just over £2,000, which is considered reasonable by Surrey standards. Ashtead is brilliantly situated about halfway between London and the south coast, making it wonderful for family days out in Brighton or on the beaches at the Witterings. Equally accessible is a visit to the Natural History Museum or a night at the theatre. The M25 is on the doorstep for easy access to other areas of the country and Gatwick and Heathrow airports are almost equidistant. Close to home is also the Epsom Derby and the beautiful hills of the North Downs for relaxing strolls. Families are spoilt for choice where schooling is concerned in Ashtead. State and private primary schools are in abundance and countless private senior schools are on offer with many boasting top UK results. The local girls only state school is coveted and there are a number of Grammar schools in the area also. 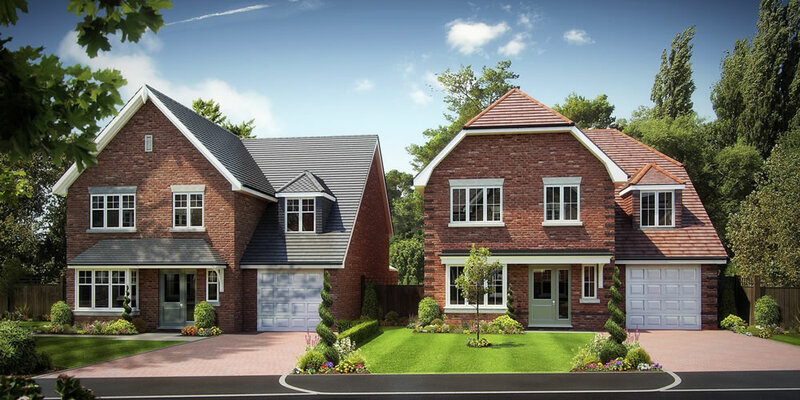 Excitingly for those drawn to the countless charms of Ashtead, groundbreaking has just started on five fabulous new homes being built by luxury developer Millgate. This cluster of beautiful houses is being built on The Warren, considered to be one of Ashtead’s very finest addresses. The wonderful large detached homes will afford five bedrooms spread over two and three floors ranging from 6,226 to 7,704 sq ft with one of the homes featuring an outdoor swimming pool. Guide prices for these new stunning luxury homes range from £3,800,000 to £4,000,000. As the dust settles after another action packed week at Royal Ascot, life begins to return to normal. There is no escaping the buzz and anticipation that this infamous racing week brings to the residents of this normally sleepy little village. Some residents choose to holiday that week in a more peaceful spot to avoid the crowds and the organised chaos. For most residents of Ascot, however, this is the highlight of the year. Many house owners take the week off work and enjoy the extraordinary excitement that no other racing week in the UK can match for pomp and ceremony. Local businesses take advantage, where they can of the cheerful crowds that weave their way back to the train station after a day of playful racing and socialising. Other businesses that struggle to function as they would normally grin and bear it – organising shift work and car shares to keep the wheels turning for the week. Local schools are lenient with tardy students and try to adapt their working day to alleviate painful collection and drop offs for school. Despite all this disruption, there are few that would consider moving away. Mr Philips has been a resident in Ascot for several years and has just recently moved into a brand new apartment block which has views towards the grandstand at Ascot. This luxury apartment block was completed by Millgate earlier this year and all but one of the beautiful homely apartments have been snapped up by buyers who were looking for an alternative to a detached home that makes up the majority of stock in the Ascot area. Berkshire was recently listed in fourth place in Britain’s 20 classiest counties by the Telegraph and was the only Home Country that made it onto the list. Desirability in the area continues to be high, although the supersized houses have stuck since the mansion tax was introduced. Millgate are thrilled to announce that they have secured a further land acquisition in Ascot close to the High Street so buyers looking for a new home that is an easy walk into the town will find this the perfect location. 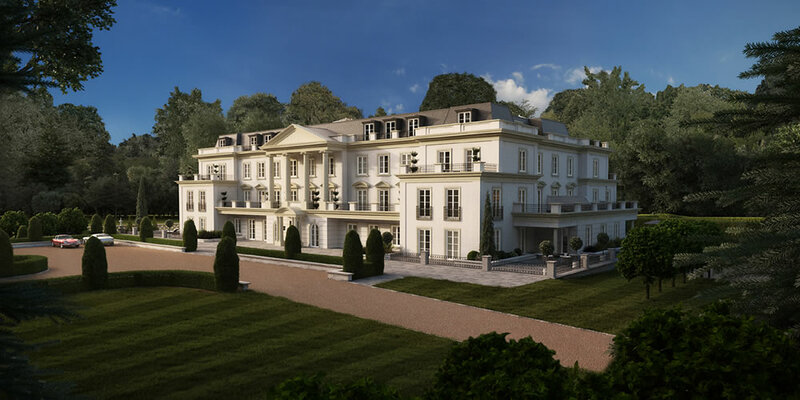 Construction is already underway and the finished property will include seventeen super high-end apartments which are being created in 12 acres of stunning landscaped grounds. Englemere is a former Royal Residence and the beautifully landscaped gardens include a delightful formal garden, fountain and a woodland walk. A feature of the garden is the range of mature trees, including a magnificent oak that dates from the time of Henry VIII. Residents will also enjoy tennis courts and a swimming pool. The original house was occupied by the late Field Marshal Lord Roberts (1832 – 1914), whose occupancy ran between 1903 – 1914. The existing building is being replaced with something that compliments and is sympathetic to the original architectural style of the property yet will also include the latest in design technology and luxury fittings. The launch date for Englemere is estimated to be Summer 2016. Apartment sizes range from 2000 – 3500 sq ft in size. Price on application. For more details contact Millgate on 018 934 3344 or visit www.millgatehomes.co.uk. How cool is your pool? More than 2.9 million people go swimming at least once a week in the UK, according to Sport England’s 2013/2014 data. The figure positions swimming as the top sport in the UK by a significant margin, though in recent years the number of people getting involved in sport has also risen substantially. Playing in team sports might be fun but in today’s busy world it is a simpler proposition to do your own thing. Many individuals look to combine the two, exercising and training on their own but turning to organised events such as triathlons in order to share their participation with others. In fact, the triathlon, which includes swimming, cycling and running, has seen huge rise in the number of contestants taking part, with the day licences to race increasing 19.12% from 2012 to 2013. Both cycling and running are instant sports: very little thought needs to go into planning for a hill sprint or a 5k jog. Find yourself with a spare 45 minutes and off you go. Swimming however is a different matter. Packing your kit, driving to the leisure centre and paddling around in the water with a whole host of strangers loses much appeal after a hard day in the office. This is one of the reasons that open swimming is such a growth sport in the UK, along with the fact that it hit the headlines after the International Olympic Committee listed a 10km race as one of the events for the 2008 Beijing Olympic Games. 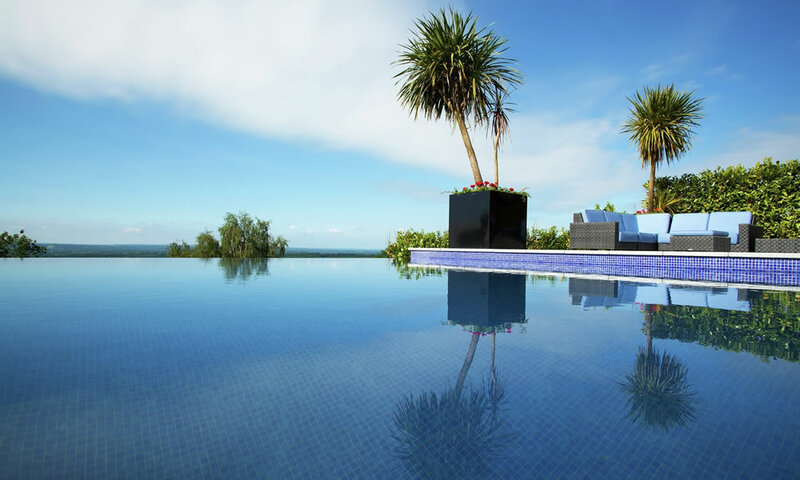 While more and more people are heading to the great outdoors to unearth the swimming adrenalin buzz, those who can afford it far prefer to own their own swimming pool. The ease of slipping into your costume and just strolling into your garden for the ultimate de-stress is hard to beat. “When we are designing plots for luxury homes, if there is ample space, then we will often try to incorporate a swimming pool. Nobody wants a pool that takes up the entire garden and we are aware that buyers are often thinking ‘safety first’ when buying a house, particularly if they have young children. Thus we endeavour to keep pools in an area that can be cordoned off if need be. Two of the homes with swimming pools have already been sold, snapped up by families who fell in love with the incredible view and wanted a way for the kids to keep fit in the garden! 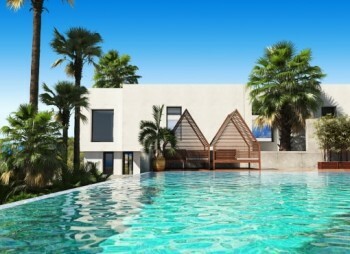 For more details on buying homes with luxury swimming pools, contact Millgate on 0118 934 3344 or visit www.millgatehomes.co.uk. It seems that the outlook for 2014 for Berkshire’s upmarket village of Sunninghill is sunny indeed. 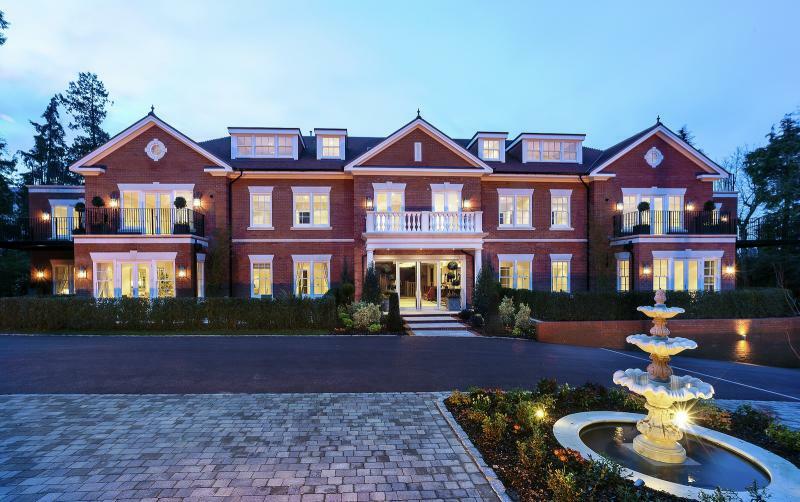 Luxury homes developer Millgate launched four new country mansions earlier this year in Sunninghill, and within just a fortnight, two of these exquisite mansions had been reserved. Now, less than four months later, all four have been snapped up by prime buyers. Just a little over three miles from the “super suburb” of Virginia Water, as the Telegraph has dubbed it, Sunninghill provides a plethora of reasons for families to locate to its leafy lanes. 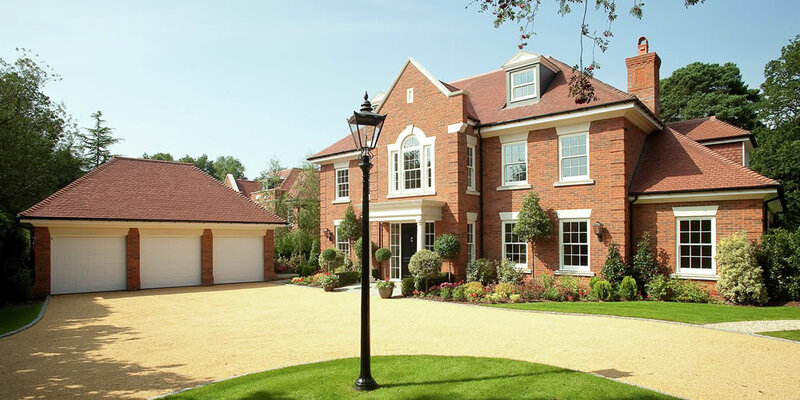 “Sunninghill is just a stone’s throw from the exclusive enclave of Surrey’s Wentworth Estate. House prices here demand a hefty premium due to their location on the ‘island,’ as it is fondly known by the locals. Recently, a report by Hamptons International, indicated that the return of housing market confidence has been greatly influenced by the different types of buyers driving supply and demand. For instance, there were 350,000 cash buyers in 2013, accounting for 36% of market activity. Although 70% of these buyers weren’t selling a property to fund their purchase, meaning that stock levels were not increasing as a result of their transactions. This goes some way to explain the extreme shortage of housing stock that Britain continues to experience. While supply lags behind, Hamptons International has reported that demand for homes is up 28% in the Surrey and Berkshire area. “With many of these cash buyers looking in the premium housing markets, it is probably of no surprise that they have been drawn to Millgate’s ‘best in class’ for country homes. There are two main facts driving the quick sale of these homes: firstly the number of Londoners looking to move out of the city into the country has doubled compared with last year and secondly the upturn in enquiries from overseas buyers. “These overseas buyers are no longer just looking at prime central London, but instead are broadening their search to a wider geographical area. They mirror the buyer profiles of Millgate’s majestic Holland Place, which explains the speed at which these four Sunninghill houses have been snapped up. Long gone are the days of a three piece avocado bathroom suite (with the addition of a bidet if you were posh! ); Britons are investing ever increasing amounts of time and money into creating the perfect bathroom space within their homes. Inspired by hotel stays, glossy magazine spreads and hours of TV programming dedicated to the interior design of A-list celebrity homes, the spathroom is here to stay. The bathroom as a space has shifted from purely functional to a haven for relaxation in recent years, an escape from the mayhem of the day and the place to be pampered. Today the label on your handwash and the thread count of your towels are as important as the car in your driveway and the wine in your cellar. Long suffering fathers, husbands, boyfriends and brothers will all testify to the length of time the females in their lives spend in the bathroom but research Bathstore has proven that women really do spend longer locked in the bathroom than their counterparts – the equivalent of 1 year, 7 months and 15 days over their lifetime, an entire month longer than men. Indeed whilst women may view the bathroom as a sanctuary, a survey carried out by Bathstore reveals that it is in fact men who are much more likely to dally on the WC than women. The average man will spend 1 hour and 45 minutes every week going to the toilet whilst women, with efficiency ever foremost in their minds, spend a mere 1 hour 25 minutes per week. With attitudes to and usage of the bathroom differing substantially between men and women, Millgate, the Berkshire-based developer has created one luxury home that solves this age-old issue. Ashworth House on Holland Place in Sunninghill is a home with a difference. As you leave the palatial master bedroom suite and step down to the cavernous dressing area you are faced with a choice: turn left and enter the Man Throne a discrete, self-contained area with WC and hand basin, the perfect retreat for the man of the house when he needs some ‘time-out’ perhaps? Or turn right and you step into your spathroom heaven. A large airy shower – Ashworth House has this and more – the 1800 mm wide shower set behind a wall of glass features a tiled wet room floor with vado taps and shower fittings. A soaking hot-tub – A very large Villeroy and Bosch quaryl bath sits in front of the large south facing windows. This is a bath that will leave nothing to be desired; quaryl combines the best properties of natural quartz with the versatility of high-quality acrylic resin, it is durable, timeless, warm and pure. Natural lighting – pouring in through the windows this bathroom is filled with light, something we crave early in the morning to shake us awake. Underfloor heating – the joy of a new house is often the underfloor heating. Fitted as standard in all Millgate bathrooms, long gone are the days of cold toes in the morning. Beautiful tiles – 20mm polished marble and stone adorn this lovely bathroom with porcelain floor to ceiling tiles. So is your appetite for this spathroom complete with Man Throne wetted? This 6 bedroom residence is located in the heart of the Home Counties just 2 miles from Ascot racecourse. Ashworth House sits within substantial landscaped grounds and reflects meticulous attention to detail in design, specification and architectural integrity – again setting the benchmark for building excellence. The property offers exceptional accommodation, arranged over three storeys, boasting a magnificent central galleried staircase with spectacular chandelier, three large reception rooms ideal for entertaining, while the kitchen/family room with an orangery opening out into the garden is the informal heart of the home. Upstairs there are en-suite bathrooms to all six of the bedrooms plus a bonus bedroom/games room. Staff can also easily be accommodated within the annexe which is found over the triple garage. To come and see this opulent house and its Man Throne for yourself contact Millgate on 0118 934 3344 or Hamptons International on 01372 469279 or alternatively visit www.millgatehomes.co.uk. Quintessential British house builder Millgate proved triumphant once again at this afternoon’s prestigious London Evening Standard New Homes Awards 2014. Now in their 23rd year, the London Evening Standard New Homes Awards is a glittering occasion which celebrates the diversity and excitement of the housing market in the South East of England where the much of the UK’s cutting edge new homes industry occurs. Held at one of London’s finest venues, the Dorchester Hotel, the awards were well attended and host comedian Dara O´Briain did a sterling job of presenting the twelve awards open to house builders and developers both large and small. Championing clever design and creative solutions that solve the challenges of city living, the awards recognised projects which showcase clever lighting, inspiring use of space as well as the wow factor in fabulous family homes and luxury apartments. With the Judging Panel comprising industry experts along with London Evening Standard readers, the breadth of award categories reflected the diversity of the South East property market from Best First-Time Buy to The Eco-Living Award and Best Development in the Affordable Homes Sector. Millgate were highly commended in the Best Out of London Home category for their exceptional development close to Oxted, Surrey. This development has been unusual for Millgate as it is their first mixed vernacular site. Chart Ridge at Trevereux is created from what was originally a convalescents home attached to Charing Cross Hospital and later a pioneering centre for Marie Curie Research Institute. Millgate have respected the character and history of the original property on the land, retaining the derelict building’s façade as well as extending to the rear in order to create six luxury apartments. 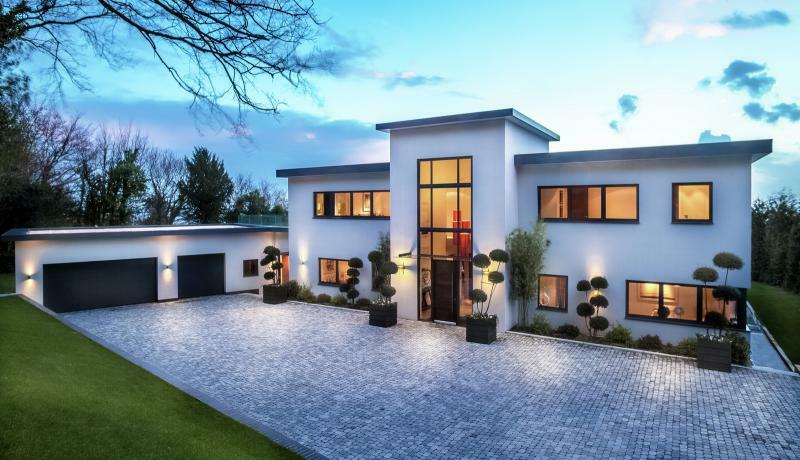 This wonderful residence is flanked either side by two luxury six bedroom mansions complete with five en-suites, a super-sized Master Suite and a colossal downstairs living area incorporating kitchen, dining and several seating areas. 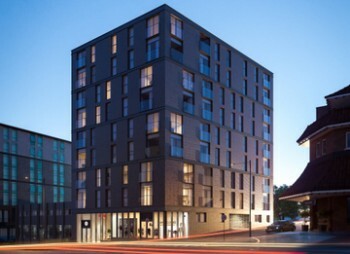 Trevereux also includes a milestone project for Millgate as this was the first time in the developer’s 25 year history that they have deviated from their classic design style and included a contemporary modern home on the site. Once again the delighted Millgate team were highly commended in the Best Family Home category for their sumptuous six bedroom residence, Ashworth House at Bardfield in Sunninghill, just two miles from the internationally renowned Ascot racecourse. Ashworth House sits within substantial landscaped grounds and reflects meticulous attention to detail in design, specification and architectural integrity – again setting the benchmark for building excellence. This wonderful house offers exceptional family accommodation arranged over three storeys and boasts a magnificent central galleried staircase with spectacular chandelier. The downstairspiece de resistance is the vast kitchen/family room which features several interesting areas designed for integrated family living. Three further large reception rooms are ideal for entertaining. Upstairs the master bedroom suite was created to mirror a luxury hotel suite; there are en-suite bathrooms to all of the other five bedrooms plus a bonus bedroom/games room. Staff can also easily be accommodated within the annexe which is found over the triple garage. “We focus our attention on building beautiful high-quality homes, priding ourselves on innovation, design and craftsmanship and ensuring that we tend to every little detail. I believe this is what sets us apart from other house builders and it’s wonderful to have been acknowledged by both our industry peers and readers of the Evening Standard. For more information on Millgate call 01189 343 344 or visit www.millgatehomes.co.uk. No other event links haute couture and top level sport with such finesse; I give you Royal Ascot which attracts a whopping 500,000 visitors every year. The pull of glamour, the presence of the Royal Family and the dramatic flat racing go hand in hand with cutting edge fashion, champagne and the chance of a little flutter. This is what drives the crowds back to this Berkshire town year after year. In its 303rd year, Royal Ascot commences on Tuesday 17th June culminating with the ‘last race’ followed by ‘singing around the bandstand’ at 6pm Saturday 21st. Thursday 19th June is the much loved ‘Ladies Day’ where inspired millinery creations will be perched upon the heads of glamorous fillies teetering in their stilettoes. This year, on the East side of the race track, are ten new home owners who are itching for the excitement to start. Westbrook House was completed by award-winning luxury home builderMillgate back in January. Fourteen top of the range two and three bedroom apartments, each with two underground parking spaces proved fabulously appealing with already ten of the fourteen fine properties snapped up, mainly by local downsizers who wanted somewhere easy to live without giving up any of the benefits of their beloved Ascot. “Well nobody likes a smart Alec but I am delighted that I got this one so right. We have been the talk of the ‘downsizers’ in Ascot with literally dozens coming for a look around our stunning Show Home. Some are not quite ready to take the downsizing plunge just yet but the interest is there so perhaps we will need to build Westbrook House II soon! 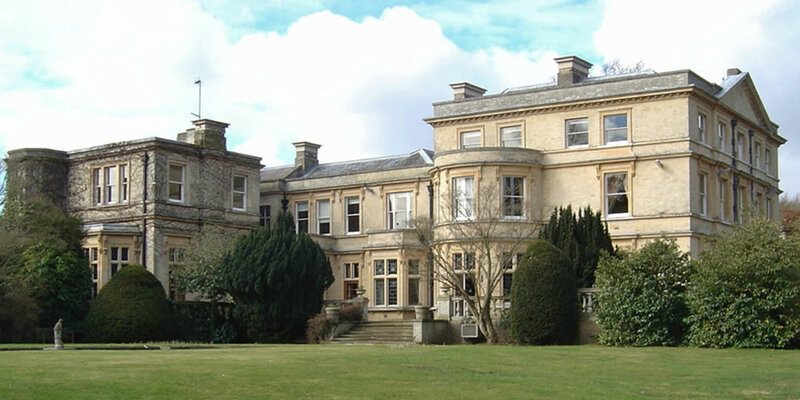 A special Open Day has been arranged at Westbrook House on Saturday May 17th. 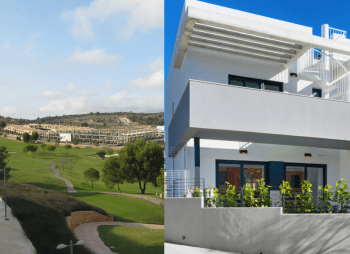 These key ready homes are guaranteed to bring any keen race goer a great deal of pleasure or for those just looking for a luxury apartment that is easy to lock up and leave when required these are just perfect. Ascot itself boasts an array of fine dining options, an abundance charming shops, some of the finest schooling in the country and is situated in ´Royal´ Berkshire which does sound terrifically grand. For more details of the opening event or a brochure on these charming apartments contact Millgate on 0118 934 3344 or visitwww.millgatehomes.co.uk.